Galileo advocates the heretical view that the earth revolves around the sun, rather than standing motionless at the centre of all creation. He faces imprisonment and torture at the hands of the Inquisition as a consequence. He is forced to weigh self-preservation against his mission to establish a new age of science. Brecht’s masterpiece provides powerful drama laced with wry humour. It deals in an accessible way with grand themes, setting them in the context of the emotional relationships of the protagonists caught up in the conflict between dogma and science. It has seldom been more timely as we find ourselves in a ‘post-truth’ era in which ideology is increasingly favoured over facts. OTG returns to the Playhouse with a striking production of this classic, translated by one of our greatest contemporary playwrights. Who was Galileo Galilei? Mathematician, philosopher or courtier? Martyr of science, heretic or secular saint? His astronomical discoveries brought him contemporary celebrity while the long shadow of his condemnation has given him continuing cultural currency. 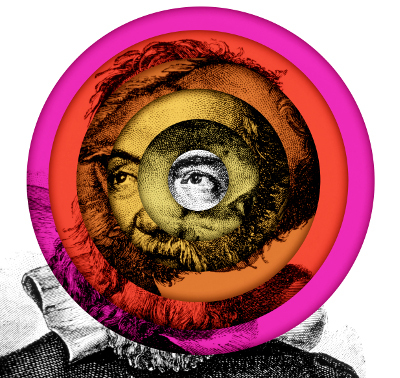 This talk explores the many interpretations of Galileo – including those by Brecht – and shows how these changing images reveal as much about us as him. Dr Stephen Johnston is Head of Research, Teaching and Collections at the Museum of the History of Science, University of Oxford. He will bring some Galilean telescopes to allow audience members to see the world as Galileo did.